Visit or call model home for more info. NEW CONSTRUCTION BY CENTEX HOMES! Available June 2019! Value-oriented families appreciate the versatility of the single-story Adams, with as many as four bedrooms. A gourmet kitchen with a casual nook adjoining an inviting family room are ideal for family gatherings or entertaining guests. The home2019;s optional covered patio extends the fun outside on mild evenings. 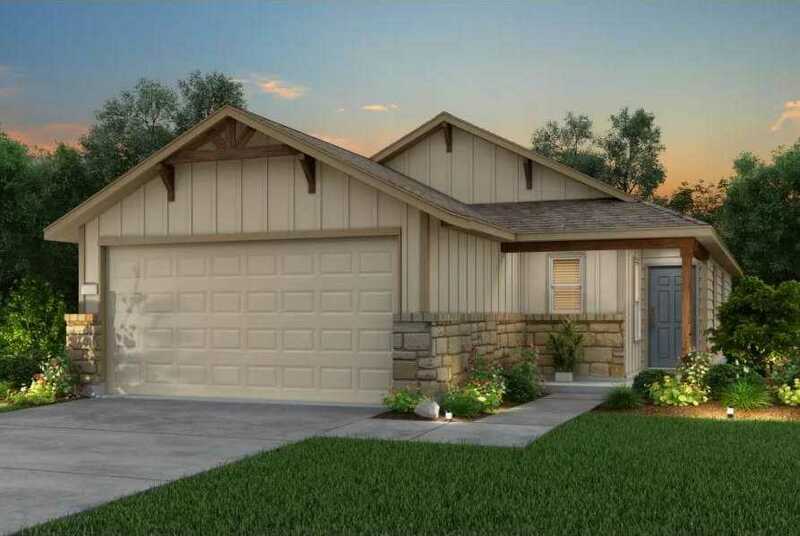 Please, send me more information on this property: MLS# 2761993 – $209,680 – 302 Eves Necklace Dr, Buda, TX 78610. I would like to schedule a private showing for this property: MLS# 2761993 – $209,680 – 302 Eves Necklace Dr, Buda, TX 78610.